The framework was made of wood. It featured the gold panels and ivory plates. The ornaments of the Zeus statue included the precious stones, ivory, ebony and gold. The cedar wooden throne was detailed in elaborate pattern used to seat the god Zeus statue. The beauty of the statue earns the status as one of the Seven Wonders of the Ancient World. The people can only infer the representation and description from the coins of ancient Greek. There was no copy found for the statue. 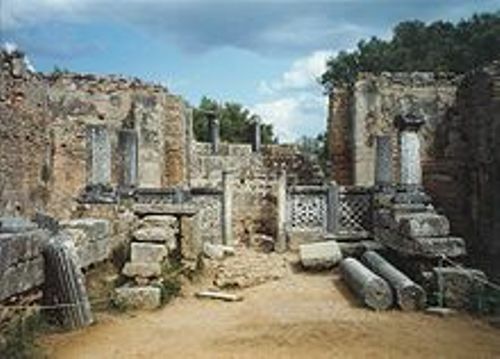 In 5th century AD, the statue was destroyed and lost. Get facts about the Roman Baths here. The Olympic Zeus status was illustrated in a coin from Elis district, southern Greece. 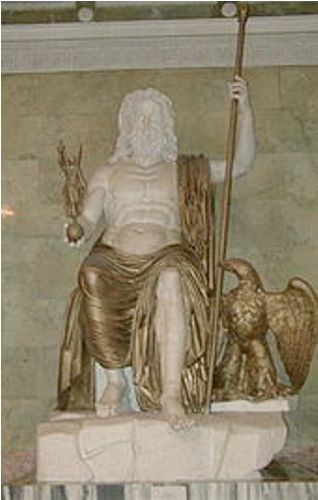 The Eleans commissioned the work of a statue of Zeus. Phidias, a notable sculptor was employed by the Eleans to construct the statue. In the past, the huge statue of Athena for Parthenon was created by Phidias too. Read facts about the Parthenon here. The sculpture found on the statue of Zeus was included as chryselephantine style. It is not easy to estimate the bronze or marble work of the statue for the copy was not existed. People can only infer it from the engraved gems and Roman coins. The detail description about the statue of Zeus was provided by Pausanias. He was a traveler and geographer in the second century AD. The statue of Zeus wore a glass-gilded robe decorated with lily and animal carves. The sculpted wreath of olive sprays was used as the crown. In the statue, Zeus wore golden sandals. 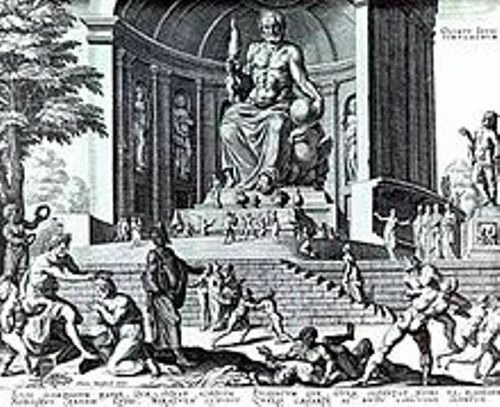 Do you like reading facts about the statue of Zeus at Olympia?